PERI UK has continued to expand both its team and product porfolio in line with growing demand for timber and plywood in construction. To continue to respond to demand, PERI has also grown its sales and support team with the recent addition of Sam Kember. Sam brings a wealth of timber knowledge to the company and joins at a time when PERI can now offer a range of options to the trade, from standard shuttering timber and C16, C24 treated timber, to the finishing angle fillet. The business now offers MDO plywood in sizes of 3.0m x 1.5m as well as up to 7.5m x 2.7m for film-faced plywood. These, and other over size panels, are available from stock at its Brentwod depot in Great Warley. Since forming its dedicated UK panels team back in 2015, PERI’s range has continued to grow from strength to-strength, incorporating plywood, MDF, OSB, and chipboard. The business imports its products directly from manufacturers and also offers a cut-to-size option when required. Paul Cousins, who heads up PERI’s plywood and timber team, commented: “When we first created this business unit two years ago, we recognised that there was a gap in the market to offer contractors a complete formwork and scaffolding solution, and this has enabled us to grow our team rapidly. 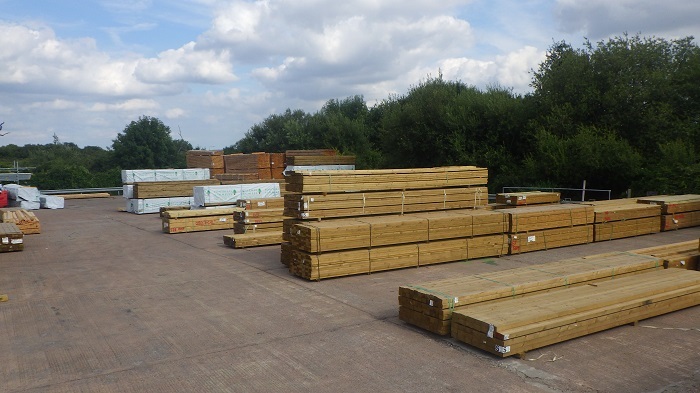 By utilising Sam Kember’s expertise in the timber trade along with our existing team’s experience, PERI will be able to tailor the range of timber so that it best meets market needs, just as we have done with our panel product range over the years.